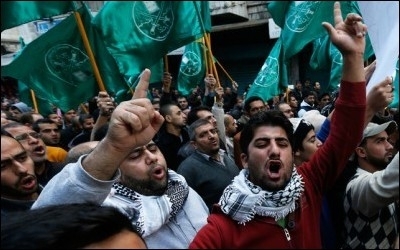 Those claiming the Muslim Brotherhood is popular and nonviolent are wrong on both counts. In a January 26 Wall Street Journal article titled "Blacklisting Muslim Brotherhood Carries Risk," Yaroslav Trofimov writes that the Trump administration's proposed designation of the Brotherhood as a terrorist group "could trigger a slew of unexpected consequences" due to its "millions of supporters." He then further defends the group by quoting supporters who proudly testify to its nonviolence. Both claims – that the Brotherhood is popular and nonviolent – are deeply misleading. It is true that current, card-carrying members of the Brotherhood do not openly support violence and condone terrorism when addressing their Western targets, but they certainly do openly support terrorism and violence when speaking in Arabic. The Brotherhood went as far as declaring that it will establish a "war committee" following the 2013 ouster of Egyptian President Mohammed Morsi, a member of the Brotherhood. The Brotherhood's television stations have not only attacked current Egyptian President Abdel Fattah el-Sisi, they have called for his assassination. In 2015, the Muslim Brotherhood channel also threatened mass terrorist attacks in Egypt and vowed to target foreigners in Egypt and their embassies. Nearly every Sunni Islamist terror group in history was established fully or in part by Muslim Brotherhood members. The official, public-facing Brotherhood institutions are designed to win political power, and their leaders and spokespeople have learned to play the game well. But nearly every Sunni Islamist terror group in history was established fully or in part by leaders associated with the Brotherhood. In 1985, three Muslim Brotherhood leaders, Abdullah Azzam (1941 –1989), Osama Bin Laden (1957 –2011), and Ayman al-Zawahiri, founded Maktab al-Khidamat (MAK), in Pakistan, which later became al-Qaeda. In a 2014 interview, Brotherhood spiritual leader Yusuf al-Qaradawi admitted that Islamic State leader Abu Bakr al-Baghdadi was indeed a former member of the Muslim Brotherhood. Meanwhile, Qaradawi and others associated with the Brotherhood issue fatwas legitimizing suicide bombings. Rex Tillerson, President Trump's nominee for secretary of state, rightly lumped the Brotherhood alongside jihadist groups in his Senate confirmation hearing, saying "The demise of ISIS will also allow us to increase our attention on other agents of radical Islam like al Qaeda, the Muslim Brotherhood and certain elements within Iran." Mr. Trofimov notes that the Brotherhood and its affiliates were "winning elections" in the wake of the Arab Spring, but this was hardly "across the Middle East" as he claims. The Brotherhood's most celebrated triumph – the election Morsi as president of Egypt – was short-lived, precipitating the largest anti-terrorism protests in Middle East history. Islamists are great at whipping passions against this or that government, but even Muslims panic when Islamists are put in power. Enough about the nonviolence and peacefulness of the Muslim Brotherhood, Mr. Trofimov. Given the Brotherhood's ties to the vast majority of Sunni terrorist organizations in the world today, not blacklisting it is what's really risky.